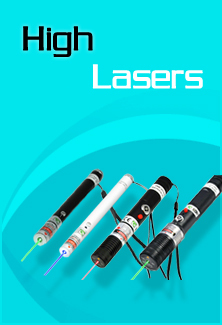 High Lasers is committed to providing the best laser solutions for hobbyist, industrial and OEM applications. We have excellent technician, sale and customer service support to provide you the best quality laser equipment, the most appropriate product instruction and long term after sale service. We guarantee all lasers are manufactured by the best laser diodes and in best conditions. If you are dissatisfied with what we send you, a full refund (minus all shipping costs) will be guaranteed within 7 days and an exchange within one month since you receive it. We are able to make a full refund minus shipping cost if you are not completely satisfied with the product you received. You may return the product on accordance with High Lasers return policy. High Lasers warrants all laser products in the course of normal use, against damage resulting from accident, disassembly or unauthorized modification, for three months to one year warranty period. High Lasers technicians will answer your question and help you solve issues over the phone or by email. We will repair or replace the product with a new unit free of charge. We are responsible to any product we have sold to customers. Please do not return any product without prior notification. For more information about the detailed procedures, you can contact support@highlasers.com.